This tutorial explains how to delete selected files php. 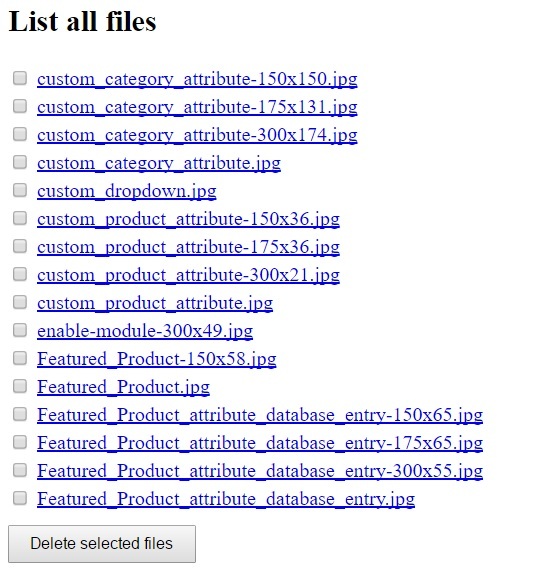 This example read the files from the upload folder .Then it displays all files in tables as shown below. There is a checkbox next to each file.On the button submit it goes through the checkbox array and delete the selected files. This section reads all the files in the upload folder.Then it list all the files the folder. On the button submit it retrieve all the files from the checkbox array.The foreach loop it iterate through the array and delete the selected file if that exists. If you have any further queries please leave a reply.